Since 2004, ServiceMaster TEAM has been a trusted leader in disaster restoration and professional cleaning services for residential and commercial clients in Levittown, PA. Our highly trained specialists are dedicated to restoring your home or business as quickly as possible after a disaster so you can get back to your life. Each technician is certified by the Institute for Inspection, Cleaning and Restoration Certification (IICRC) in water, fire, soot, and odor restoration, as well as applied structural drying and lead certification. We were awarded the Achiever Award in Disaster Restoration as well as the Presidential Achievement Recognition for our outstanding service. We have been involved in many local projects, including fire and water damage restoration for churches. Call us 24 hours a day, 7 days a week at (215) 399-4866 for comprehensive disaster restoration and cleaning in Levittown, PA.
Water is the leading cause of disaster damage because it comes from so many sources. Flash floods, broken pipes and leaking appliances all lead to excess water in your home or business. Building materials like wood, drywall and insulation soak up water and help it spread further. Wet materials become damaged and mold begins to grow within days. ServiceMaster TEAM provides high quality water damage restoration to commercial and residential clients in Levittown, PA to remove excess water and moisture before it can cause more problems. We use only the most effective drying and water extraction equipment in the industry to dry the affected area, and we clean everything using antimicrobial products. Nobody likes walking into a flood in the basement. Basement flooding is common because excess water from rain and natural floods can enter through openings in the foundation. Your basement can also become flooded from non-natural factors like sump pump malfunctions, sewage backups, and burst pipes. 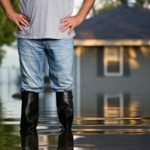 No matter how the flooding started, you must call a professional immediately to remove the water before it causes structural damage or mold growth. 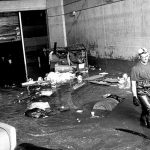 ServiceMaster TEAM can restore flooded basements in Levittown, PA with our flooded basement cleanup services. 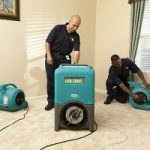 Our technicians use state-of-the-art extraction equipment to remove flood water and we will also clean and restore the affected area. Fire causes damage beyond what the flames touch. Toxins from soot and burning synthetics permeate household surfaces, etching and tarnishing them. Smoke discolors walls and fabrics and leaves behind a smell that commercially available cleaners can’t remove. The damage can become permanent without prompt cleaning. The experts at ServiceMaster TEAM have the training and equipment to safely and effectively clean and restore homes and businesses in Levittown, PA that have experienced fires. 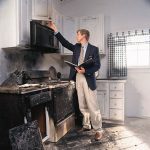 We can repair the damage before it becomes permanent and restore furnishings, structural elements and items you thought might have been lost forever. Our experts will remove that smoky smell so it’s only a bad memory. Mold spores are always present in the air, just waiting for the right conditions to grow. They need a food source, and building materials are an ideal source. 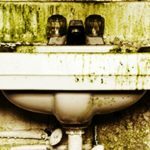 All that’s missing is moisture, which is why mold grows so quickly when there’s excess water in your home or business. It’s not just ugly to look at; it’s also a health hazard. Mold spores irritate eyes and lungs and can cause serious problems for people with allergies and respiratory problems. ServiceMaster TEAM provides comprehensive mold remediation services for residential and commercial clients in Levittown, PA. We’ll eradicate all traces of mold, even in hidden areas like inside walls. We’re a Quality Restoration Vendor, which means we’re highly trained to handle any case of mold remediation. Encountering a trauma scene is not only emotionally devastating, but physically dangerous. 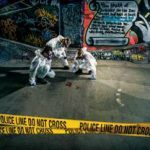 Blood, tissue and other biohazards can easily spread infection and disease unless handled properly. These items can’t be thrown away in household trash, and this kind of cleanup is often more than people can manage on their own. ServiceMaster TEAM offers discreet, full service biohazard and trauma scene cleanup services to residential and commercial clients in Levittown, PA. Our experts have the training and equipment to safely remove biohazardous materials in approved containers for transportation to a licensed facility for legal disposal. We use the most effective cleaners in the industry to decontaminate and sanitize the area, while maintaining a sense of compassion and courtesy. Whatever a natural disaster does to the outside of your home or business, it also does to the inside. Water, fire, mold and other hazards can damage furniture, clothing and other possessions. Before you throw anything away, call the experts at ServiceMaster TEAM. We provide comprehensive content cleaning and pack-out services for residential and commercial clients in Levittown, PA. Our professionals use only the most effective, yet gentle cleaners and equipment available in the industry. We can clean and restore items that you thought were lost forever. 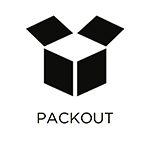 We restore and clean items on site, but if the building isn’t secure, we will carefully inventory and pack-out your property for restoration at our secure facility. It doesn’t matter how much you spend on hiring an interior decorator and new furniture -if your carpet is dirty and smelly, your rooms will look bad. Foot traffic, especially in commercial buildings, wear down fibers and stains make them look old before their time. Carpeting is expensive, so it makes sense to protect your investment with regular cleaning. 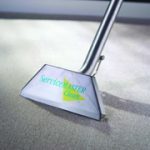 The experts at ServiceMaster TEAM provide high quality carpet cleaning to residential and commercial clients in Levittown, PA. We use only the best cleansers and equipment in the industry to remove stains and odors so your carpets look as good as new. We can work with you to establish a regular maintenance schedule so your carpets never embarrass you. The air duct system in a home or building may not get much attention, but it always makes it presence known by providing heating and cooling. The air that passes through the HVAC system generally contains dust and other debris that starts building up within the air ducts. This debris can have adverse effects such as lowering the efficiency of the heating and cooling as well as contributing to poor indoor air quality. ServiceMaster TEAM provides air duct cleaning services in Levittown, PA to clean the debris buildup from the air ducts and component parts. Your HVAC system will work much more efficiently which will result in lower energy bills and healthier breathing air.